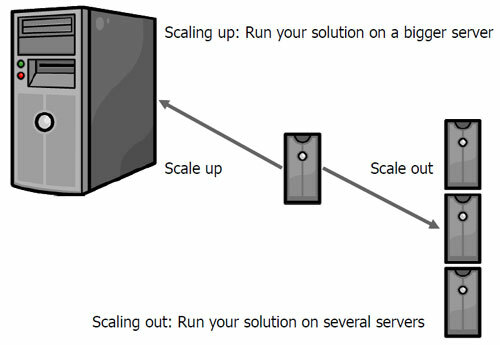 Scaling up: aims at allocating a bigger machine to act as database servers. Scaling out: aims at replicating and partitioning data across more machines. ts well with the pay-as-you-go philosophy of cloud computing.